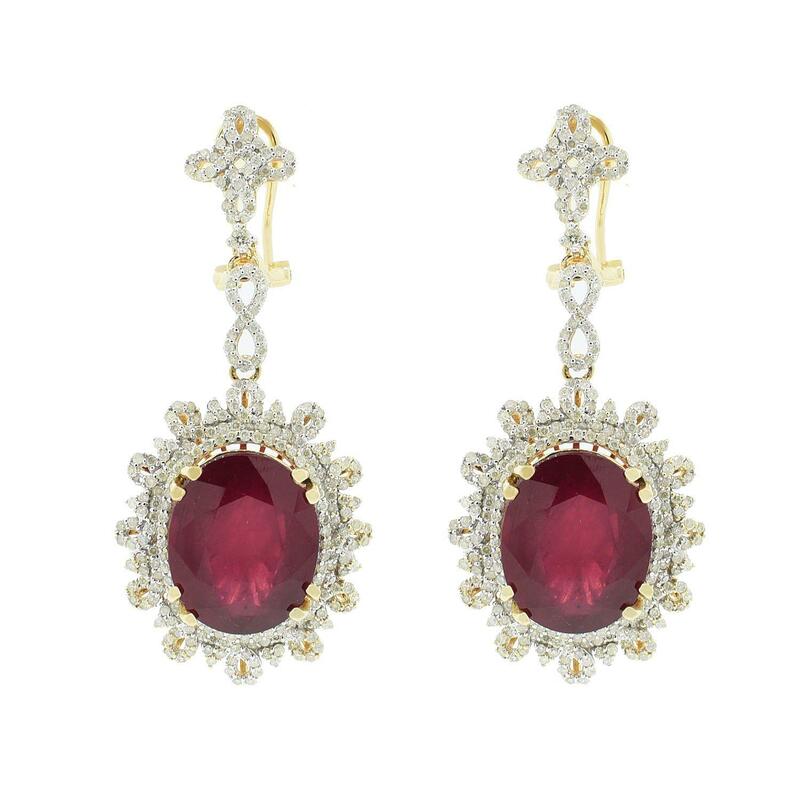 Fourteen karat (14K) yellow gold ruby and diamond drop earrings. Two (2) oval cut ruby corundum gemstones are prong mounted in the center of the earrings. Round brilliant cut diamonds accent the earrings around the center gemstones and on the top clasps. The earrings are cast stamped "14K" and have a gross weight of 15.0 Grams. Enhancements: Indications of high temperature heat treatment, with glass and flux additives.